Another holiday to celebrate! This Saturday I’ll be getting together with my extended family for our annual ‘spring fling’. Sure, we’ll probably have enough sweets between the chocolate bunnies and jelly beans, but I’ve opted to add one more to the menu! 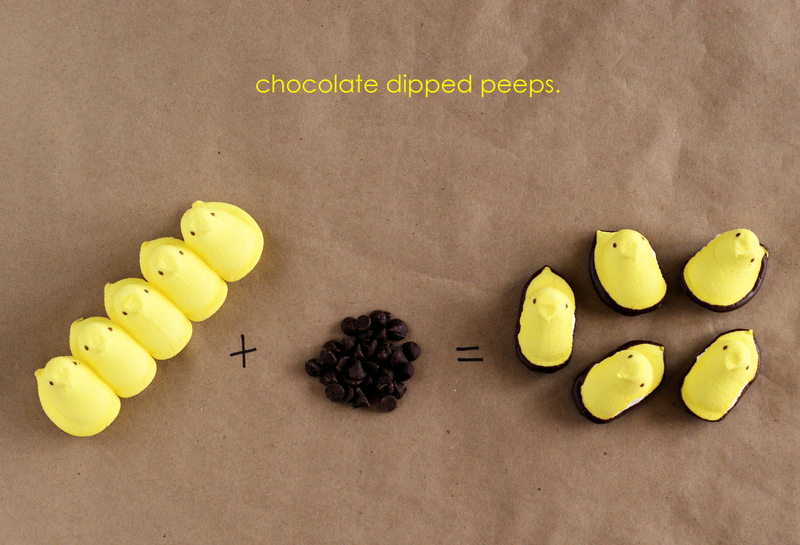 So simple, yet so delicious – chocolate dipped peeps. You just need a package of peeps & chocolate chips (melted). Do you have big easter plans – maybe a brunch or an egg hunt? so simple! Definitely need to make!